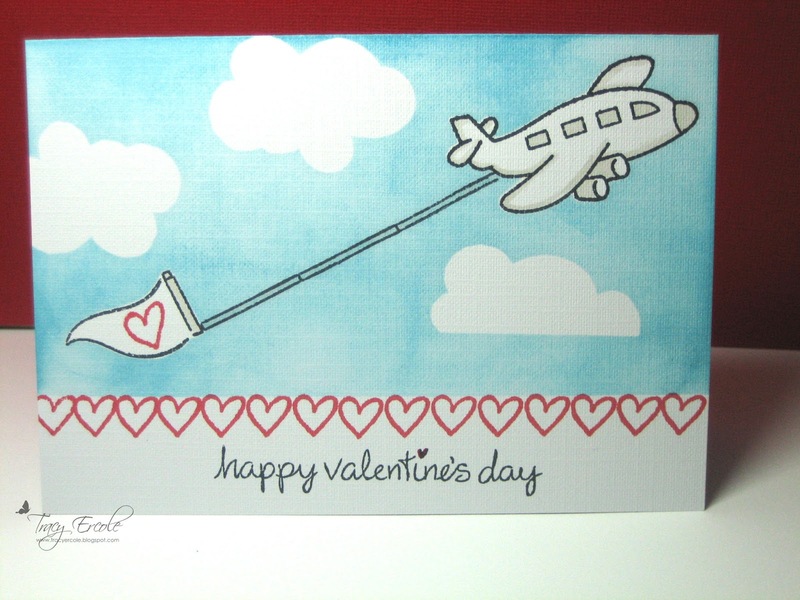 I used three different Lawn Fawn stamp sets for this card, the heart and sentiments are from My Silly Valentine, the pole and flag from Cruising Through Life and the plane and clouds from Bon Voyage. I also used Memento black ink, Hero Arts chalk ink in Punch and Tim Holtz distress inks in Broken China and Tumbled Glass. I masked the various parts using Inkadinkado stamping mask paper. This is wonderful. 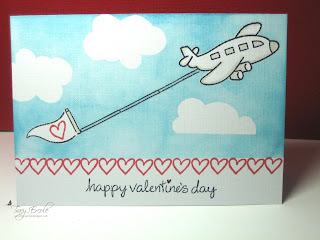 I love how you incorporated so many images from different stamp sets.... LOVE THIS! 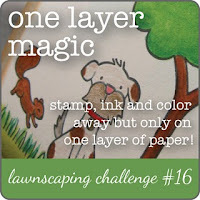 Thanks for joining us at Lawnscaping! What a wonderful card! 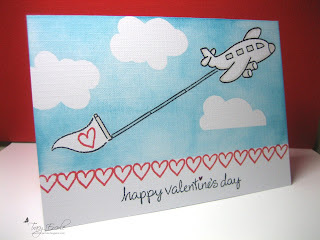 Love how you made the hearts into a border =) TFS!